Whether it's custom millwork or cerused floor planks, these light shades of wood prove that, even at home, blonds have more fun. In New York City's West Village, designer Suchi Reddy opened up an apartment filled with odd angles and awkward spaces, using a light palette of reclaimed oak, bleached wood floors, blonde millwork, and white plaster. In the Victorian home of a London family with an ardor for order, blond Dinesen Douglas fir floorboards stretch the length of the house, framing its clean planes and lines. In a converted Amsterdam schoolhouse, simple birch plywood built-ins provide storage when employed as a pegboard wall in the kitchen. In a tiny New York City apartment, an abundance of woodwork provides myriad storage solutions. Its blond tone keeps the cabin-like interior from feeling claustrophobic. 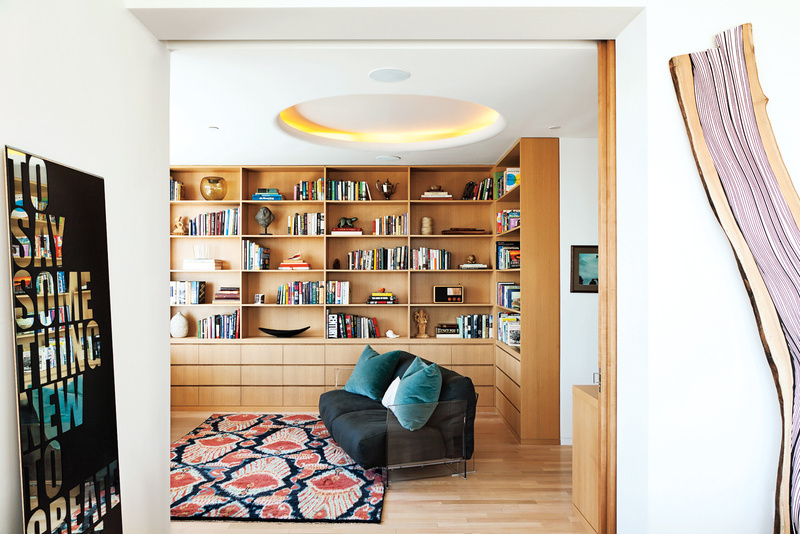 In his own Manhattan studio, designer Greg Dufner used custom built-ins to divide his space. The rift-cut white oak bookcase separates the sleeping area from the rest of the studio, while providing contrast to the darker fumed oak floors.